Do you have a hard time removing tough dirt and deep stains. Do you need to use the chemicals with your pressure washer? 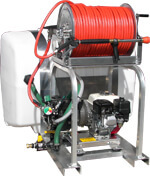 We have a solution for you: pressure washer chemical sprayer. 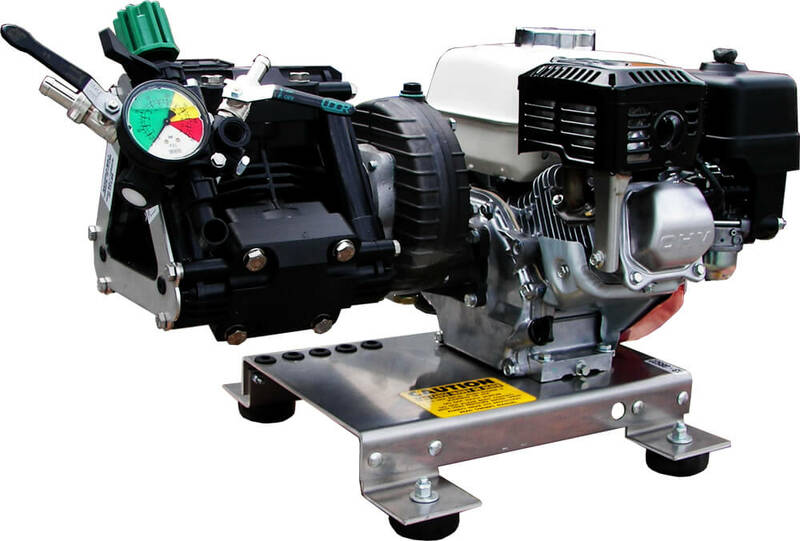 The Udor pump on this unit is designed to handle chlorine and other caustics or fluids. 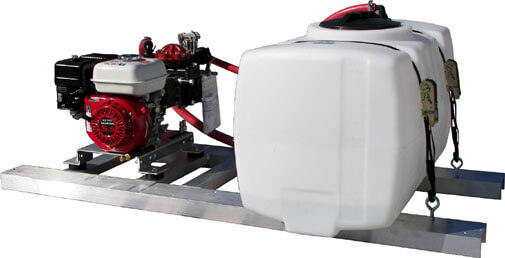 This chlorine sprayer is a fully self contained cart mount power washing unit designed to deliver 10.5 gallons per minute at 300 PSI. It is equipped with a Honda gasoline engine. All equipment comes installed on a powder coated frame. It is important to rinse pump with clear water after end use to protect seals. Select your mounting option (skid or cart) in shopping cart. This are unique self-contained soft-wash unit that have a 3-way gate valve to flush and rinse with garden hose force feeding the system. Designed to be flushed immediately after each use. No need to have a secondary tank with water to flush the unit out! 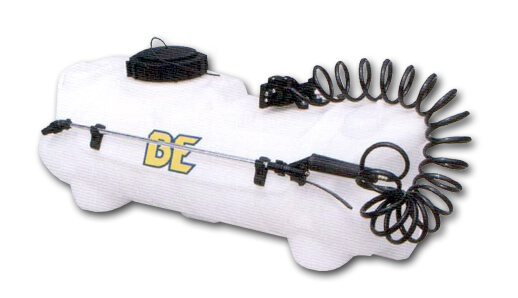 This unit comes with a 50 Gallon Tank with inlet plumbing and bypass and a powerful pesticide sprayer. Excellent pre-prep chemical applicator. 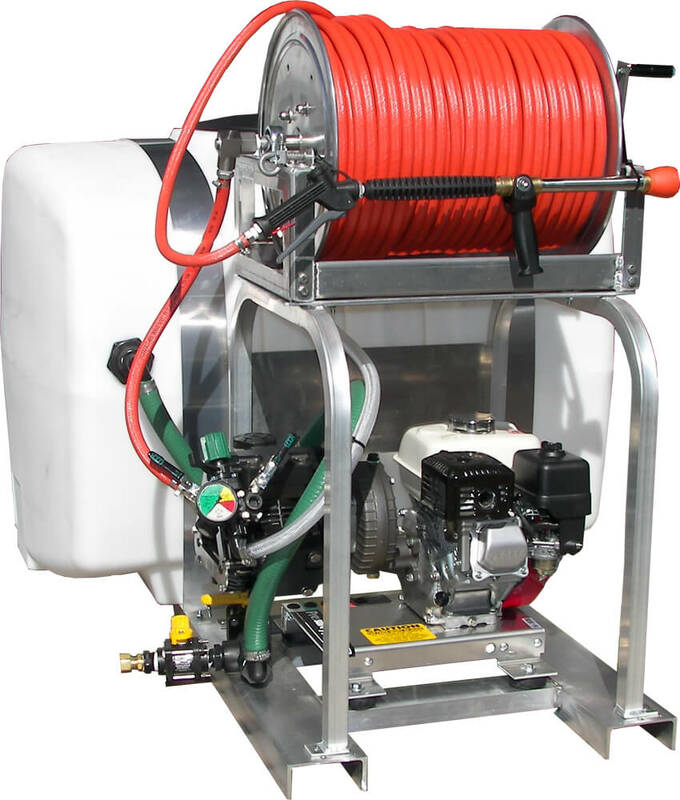 Trigger control, demand flow, wall mount cabinet, enclosed pump unit pulls chemical from bulk tank and delivers it through 100' lightweight hose for low pressure stream/cone or mist application. Operator simply squeezes trigger for instant application. Braid reinforced PVC hose designed specifically for AG/ Pest control spraying applications. Note: Hose barbs and fittings not included for these items. Chemical Dispensers are water powered that applies exact amount of chemical solution into water treatment, sanitizing livestock, hygiene and sanitation, disinfecting, egg washing, car wash and other applications. The majority of our chemicals are environmentally friendly, they achieve great results and save time and money on labor. 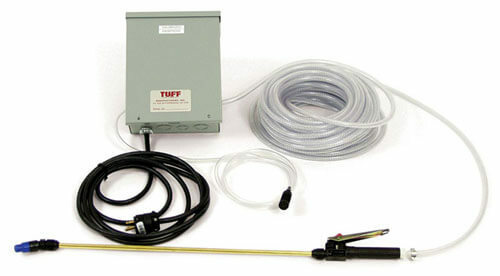 It consists of the soak suction filter, 6 FT of clear tube, adjustable knob, injector and 3/8" quick connect couplers. Read more on Chemical Injectors page for FAQ's and how to use your Chemical Sprayer.